Lawrence is our adopted steer. 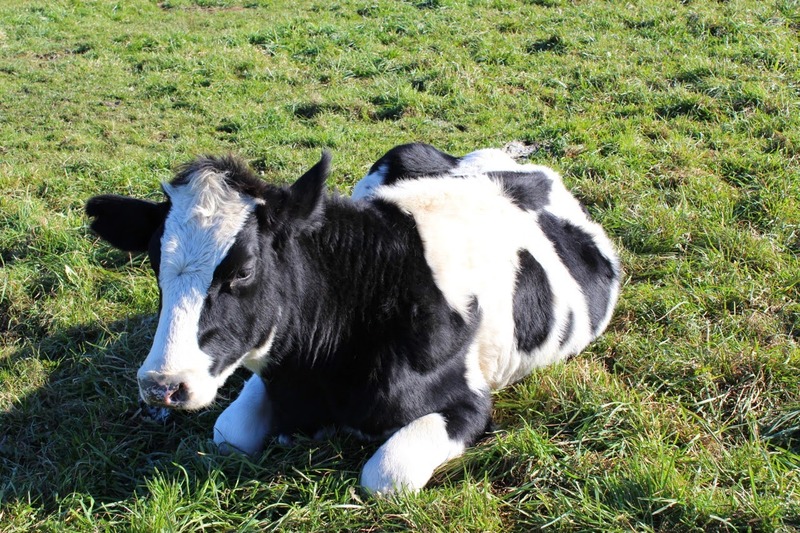 He was rescued by Farm Sanctuary when he was just a calf That's a photo of him by my bio in this blog. Because we live in Philadelphia and he lives at Farm Sanctuary in Watkins Glen, NY, we don't get to see each other too often. But we hope to see him this week. Sarah at FS sent me this photo of him reaching for apples on a tree at the sanctuary. Isn't he handsome?! Look at that ballet pose, hind leg gracefully extended!! Unlike hundreds of millions of unfortunate cattle in this country, he'll never end up as hamburgers or sirloin steak. He's one of a very few, very lucky animals of the kinds our society decided to call food. The world would be a better place with more compassion and less violence. You can never have too much compassion or too little violence. Here are a couple of photos taken when he was less than a year old. He was sucking on the strings of my hoodie! Before we had Lawrence to love, we had Rhonda. She was a sweet, shy cow. I thought her facial markings made her look like a Panda. 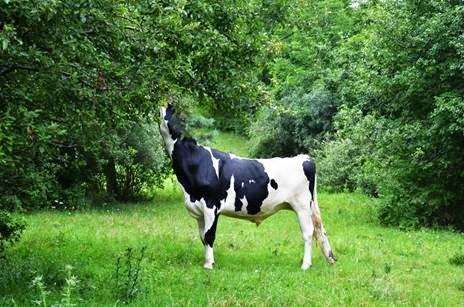 She was rescued many, many years ago and had a long, happy life with her friends, both bovine and human, at FS. Here are a few photos of her. Wasn't she lovely? I'm feeling guilty. I should be at the farmers market handing out pamphlets asking people to sign on-line petitions or make phone calls to try to stop the US government from eradicating wild horses and burros on public lands, animals they are legally obliged to protect. Yesterday, I couldn't help a trapped sparrow. What good am I? So I'm asking you to help. In 1971, Congress unanimously passed (how often do they do that?!) The Wild Free-Roaming Horses and Burros Act to preserve and protect American wild horses and burros. These animals are the descendants of the animals who transported people and goods to expand our country and who transported lawmen and ranchers and anyone else who wanted to go from one place to another before trains and cars and airplanes. Today the ranchers, with the help of the government, are shoving the horses and burros off the public reserves set aside for the horses and burros. Ranchers don't share well. People are eating less beef, so the ranchers' answer is to graze more cattle. They're not very smart either. They graze many of their cattle on public lands, for which they pay the government about $20.00 per steer per year for the privilege of destroying public lands and the wild horses and burros who are supposed to be given preference. Cattlemen say there are too many horses, although cattle outnumber horses by more than 50 to 1 on public lands. The Bureau of Land Management (a division of the Department of the Interior) responds by rounding up more horses and burros, often using helicopters, killing or injuring many of them in the roundups through stress, and stashing the horses in holding pens. They already kill many by quietly adopting out horses to people who truck them to Mexico to slaughter, although they're not supposed to do that either. Recently, over 70 horses died while being transported from one holding pen to another. Horses are herd animals, living in strict family groups protected by a stallion. The roundups tear families apart, upsetting the functioning of any remaining herd, and stressing all the horses. Horses can die from stress. Holding pens kill horses, too. The horses are given only minimal care. Horses are not meant to stand around all day. To keep their guts working, they need to move. One day soon, they'll decide it's too expensive to keep the horses and they'll kill them. When the law was passed in 1971, there were almost 300,000 wild horses and burros. Today, there are fewer than 30,000 free-roaming horses - and they're still being rounded up. There are now more horses in holding pens than there are on the ranges. Over 50% of the land designated for them in 1971 has been taken away from them. This is a betrayal of the government's custodial agreement and a misuse of taxpayer dollars. If you are a taxpayer, you should know that hundreds of millions of your tax dollars are being wasted in these roundups, in paying the owners of the holding facilities, and in restoring the ranges that the cattle overgraze. If you are a human being with any bit of compassion, I beg you to get involved. The government is ignoring the hundreds of thousands of people from all over the world who have been protesting for years. They're only listening to a handful of ranchers. Please add your voice to save the horses and burros. Or soon the horses will be gone. Instead of boring you with an end of the month synopsis of all the books I read during the month, I've decided to do short posts as I finish each book. That's less trouble for both of us. This will be the last multiple book post, unless I finish two books on the same day. So, here we go! 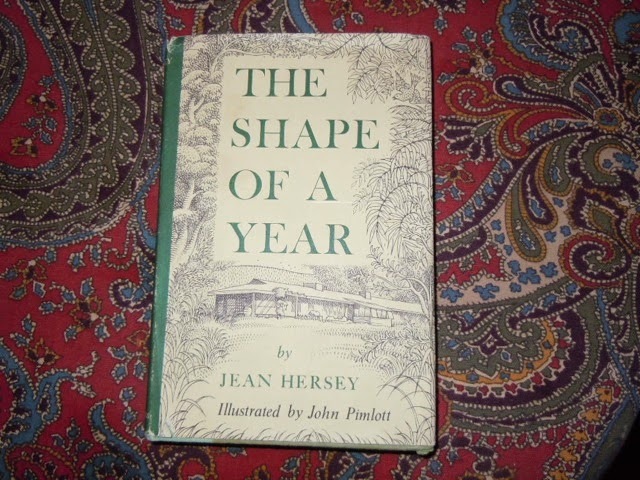 The Shape of a Year - Jean Hersey This book sounded so good when it was reviewed by Belle earlier this year that I jumped on the Internet and bought a used copy (I don't think it's currently in print). 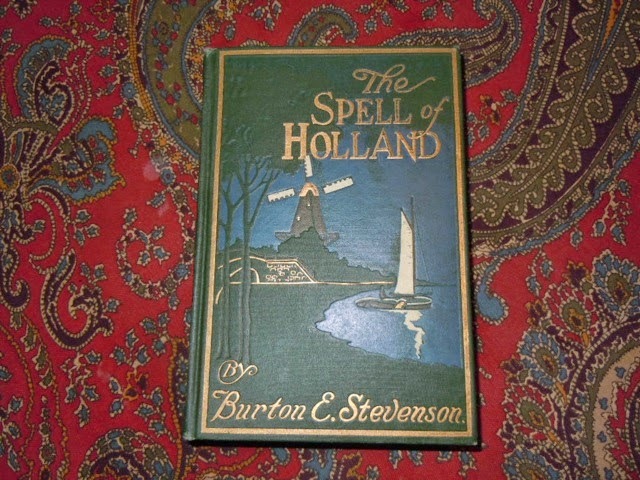 I like books about the quiet country lives of people. Gladys Taber is one of my favorites in this genre. The author goes through the year, month by month, describing her home, the things she and her husband do for fun (play duets on their recorders! fly kites! she hooks rugs while he reads out loud to her), their flower and vegetable gardens, the walks they take with friends, the birds that visit their feeder, their grandsons. It's a calming book, but it also makes me miss the country home we sold to come live in the city. There were a few things that I thought made it feel a bit dated (it was published in 1967, I believe), but it's always fun to remember how much life has changed in even that fairly short period of time. 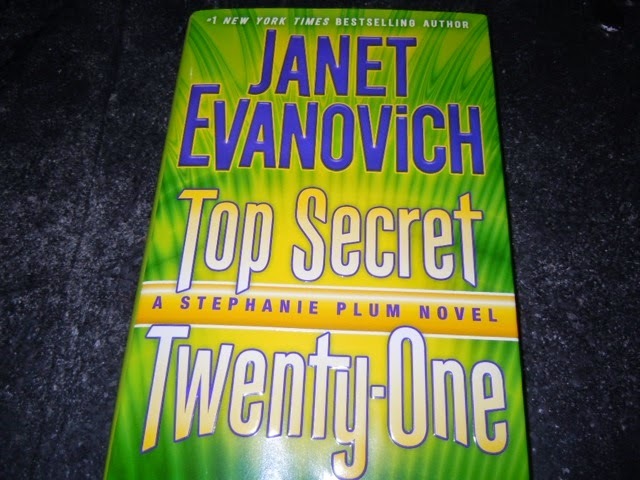 Top Secret Twenty-One - Janet Evanovich My oldest niece and I have an arrangement: she buys me the latest Stephanie Plum mystery, gives it to me for my birthday or Christmas, I read it in a few days, and then I send it back to her. Works for us. We both like Stephanie and her goofy pals, so why not share? If you read these books, you should know that I'm in the Ranger camp. If you don't read these books, you won't know what I'm talking about. I know Ranger isn't forever; those guys don't settle down well and, well, would you really want him to? He wouldn't be Ranger anymore. These mysteries are silly. This one involves a pack of Chihuahuas, a homeless man, a hugely fat naked man, several murders, exploding apartments and cars, and a very dangerous Russian. I didn't think this one was as exciting as most of the others, except for the ending. Maybe they're too formulaic. At least Rex made it through again. That hamster must be about 10 by now, the oldest hamster in history - but I want to keep living that fantasy. 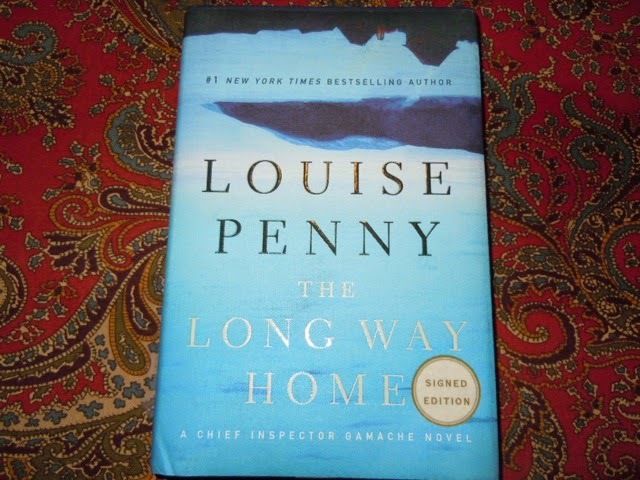 The Long Way Home - Louise Penny From one sort of mystery to another. I turned my cousin Anne onto the Inspector Gamache mysteries and she repaid me by sending this one, the latest, to me for my birthday. They are consistently the most intelligent, well-written mysteries. I love all the characters, especially Ruth, the cranky old poet, and her duck Rosa. Gamache and Reine-Marie have retired to the village of Three Pines. Clara Morrow has a problem: she kicked her husband out to give them a year's separation to see how they feel about each other, the year's up, and Peter hasn't returned. She doesn't want to bother Gamache, who's trying to recover from physical and emotional wounds sustained on his job. But she finally asks him to help find Peter. Myrna, Ruth, Reine-Maire, and Jean-Guy all volunteer. It makes for one crazy road trip. I'm not going to say more. These are great books. I highly recommend reading them in order. The characters have such depth and they change over the course of the books. Oh, how I want to live in Three Pines! The last three are library books, so no photos of the ragged copies I borrowed. Nine Lives to Die - Rita Mae Brown I've read all of the Sneaky Pie Brown mysteries (I also read all The Cat Who ... mysteries) and I think this will be my last. Maybe it's partly because I just finished the Louise Penny book, but the characters in this series seem flat to me and the situations contrived. I like the cats and the Corgi, but maybe I've had enough of talking animals, even if they just talk to each other. (My neighbor has Corgis and just got a puppy - he's the cutest little guy and so friendly. The older ones can be a bit grouchy.) Anyway, two men involved in a program to help boys are found murdered, both with their index and middle fingers cut off. A coyote finds a very old skeleton buried in the woods and Harry's pets lead her to it. Odd though, the skeleton keeps disappearing and reappearing. Harry and her friend and neighbor Deputy Cooper have to solve both mysteries. Game for Five - Marco Malvaldi I don't remember which blogger mentioned this author, but I know one of you did. I was hoping it would grab me like the Inspector Montalbano mysteries have, but it didn't. Four old men hang out at a bar in a Northern Italian coastal town. They play cards. The bartender, the grandson of one of the geezers, gets involved in a murder when a drunk young man comes to the bar to use the phone to report finding a dead girl stuffed in a trash can. The police think it's a prank because he's drunk, so the bartender goes to the trash can, sees the dead girl, and calls the police. The police are bumblers and are on the wrong track. The bartender watches and listens and finds the clues that point to the murderer. Thank goodness it was a short book! The Architecture of Happiness - Alain de Botton I know this will disappoint Belle (see above), but I had a hard time with this book. I loved, loved, loved this author's book The Art of Travel, but I didn't love this one. I finished it just an hour ago, so maybe I need to think about it more. I felt that there were too many contradictions, that de Botton argued both sides, so it was confusing to me. I get the point that the places that surround us, that we live or work in, or that we look at when we leave our homes, have a great effect on the way we feel. Personally, I can't stand modern architecture or skyscrapers taller than or built after the Empire State Building's era. Try as I might, like abstract painting, modern architecture makes me feel anxious and jittery. I've only lived in one new house in my life. The house I live in now was built in the early 1800s, and the one I moved from was over 300 years old. Old houses comfort me, reminding me that people lived in this house before me, were born, were happy, suffered in many ways. I guess I like living with ghosts. It looks like my reading hasn't been that satisfying since the Louise Penny book. She's hard to top. Katrina, Peggy (I think), and I are planning to read Rebecca during the month of October. We're not reading together in any sense except that we're all reading the same book and planning to finish it by the end of the month. Then we'll discuss it. If you'd like to read along, please join us!